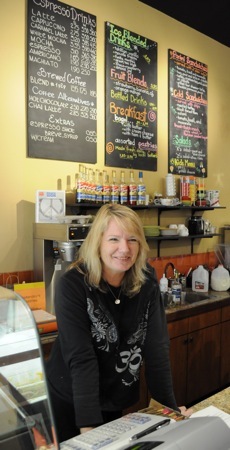 Kathleen Daly was good at ignoring the ad offering a small cafe for sale – she did so for months. But when she drove over to take a look, the decision to buy was instant. Cafe Zoe came to life in June 2008 and the new owner set to work on revised hours and menu and presenting the work of local artists and musicians. There’s live music most Friday evenings starting at 6:00 pm and on Sundays at 1:00 pm. Daly says “zoe” means life in Greek. Indeed, her cafe has become the lifeblood of the surrounding Willows community. Bonjour,ou sont les photos des motards Français ????? ?